The story of Joseph’s incarceration ends with his successful interpretation of the dreams of the Pharaoh’s chief butler and the chief baker. He ingeniously interpreted ordinary objects (tendrils of grapes and baskets of bread) as symbols of the units of time (Interpreting Dreams). Even greater insight was Joseph’s understanding that the engagement in time, manifested by the chief butler’s personally squeezing the grapes into the cup and placing the cup in Pharaoh’s hand, symbolized life for the chief butler. And, conversely, the passivity of the chief baker, who dreamt of baskets of bread sitting on his head, with birds eating from the baskets, symbolized the opposite of life. 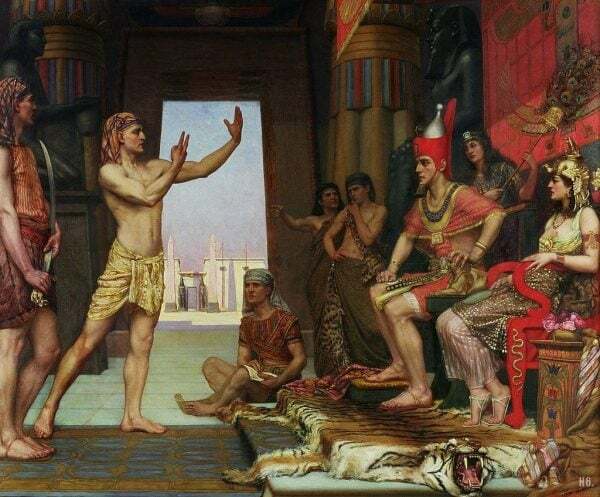 What is baffling in this story is Pharaoh’s reaction to Joseph’s interpretation of his dreams—Pharaoh immediately appoints Joseph as the Viceroy of Egypt. Just think about it: Joseph was a foreigner and a slave; moreover, as far as Pharaoh was concerned, Joseph was a convicted criminal (Pharaoh could not have been aware of his innocence). Joseph lacked any executive experience of the sort necessary to run Egypt—the superpower of the day. He was a young man characterized by the Torah as a na’ar—youth. What was Pharaoh thinking by appointing Joseph as the ruler of Egypt?! The key to understanding this may be found in the way Pharaoh relates his dreams to Joseph. Pharaoh separates himself further from the river by inserting the bank of the river—in Hebrew ad sfat hayor. The word sfat did not apear in the original dream. Pharoh is afraid of time. He is unwilling to engage. Like the poor chief baker, who was a passive observer of birds eating bread from the baskets on his head, Pharaoh also wants to be a passive observer. He doesn’t want to dip his toes in the river of time—he’d rather stay on the bank of the river. Pharaoh, who readily admitted to Joseph that he was not a master of time, immediately recognized Joseph as the ultimate master of time. That is why he placed Joseph in charge of his country—leadership requires the mastery of time. Joseph, the master of time and the Biblical archetype of a leader teaches us the secret of leadership—the mastery of time.